With just over 1 million people, it is easy to say that Milan is one of the biggest cities in Europe, let alone in Italy. 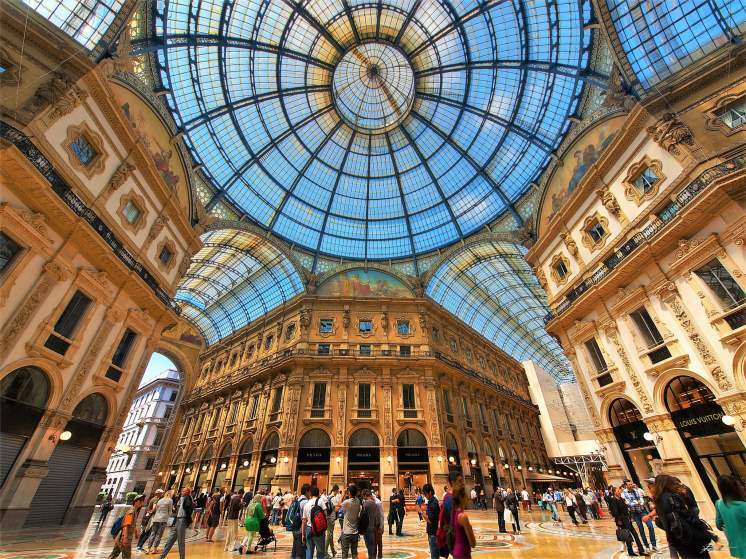 Milan is well known for its sleek designs, shoes, and latest and most out-there clothing. Decadent with shopping plazas and nightlife, it can be easy to miss some of the more refined aspects of this old city. Below are ten of the more famous places in Milan that are destined to give you a feel for the city. The contrast between Old Milan and New Milan is staggering, and that alone is one of the best reasons to visit the first site in Milan. What once used to be the medieval city centre now acts as a reminder of the past. A traveller can still see the towering ghosts of medieval buildings nestled amid contemporary shops. This is a necessary visit to understand the complexities of Milanese culture – how old things like Catholicism and cultural structures can influence the newest of styles. 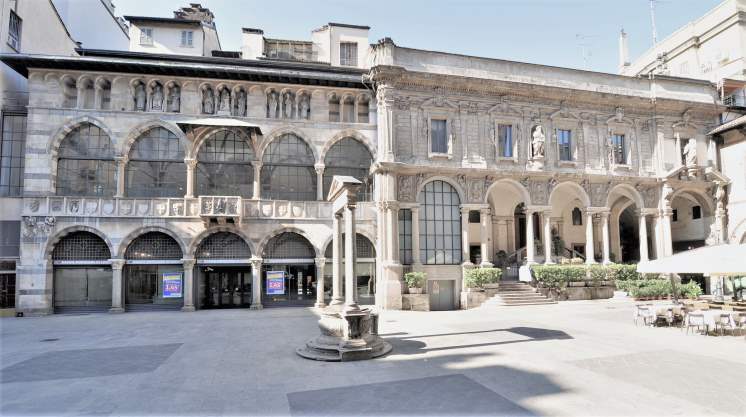 Another excellent place to learn about Milan's complex historical culture is to visit the Royal Palace of Milan. Once a complex structure that housed Italian Royalty, most of the palace was destroyed during the bombings of World War II. Master restoration artists have made the rooms look almost like they were never destroyed and other rooms contain even more treasures. The palace originally opened up to visitors in 1920, and people have been visiting it ever since. For more information about the city, and a look into the past, make sure to check out the Duomo Cathedral Museum and the Contemporary Art Museum – both located in the Palace itself. Italy, of course, is known for its art. Whilst Milan is known primarily for its fashion art, it is also home to some of the most unique and priceless works in the world. 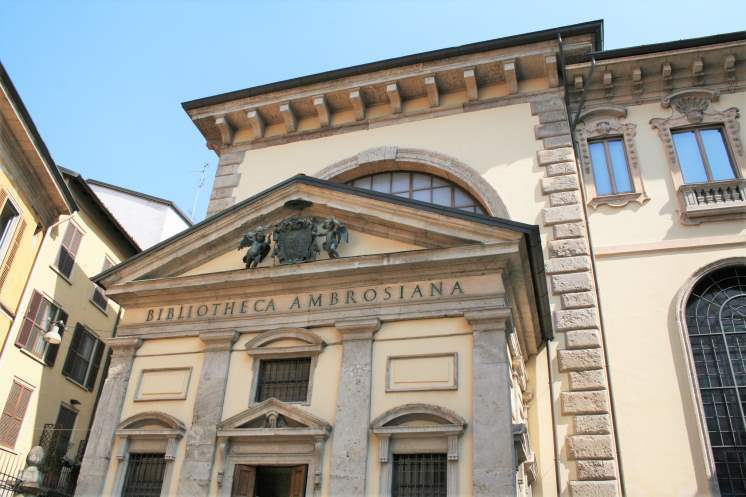 One such place to see these treasures is the Biblioteca Ambrosiana. This gallery was named after St. Ambrose, the patron saint of Milan. While this place contains historical artefacts, such as the manuscripts of the Monastery of Bobbio, as well as some of the paintings and manuscripts of Leonardo Da Vinci. For an excellent museum experience, be sure to check out this historical gem. 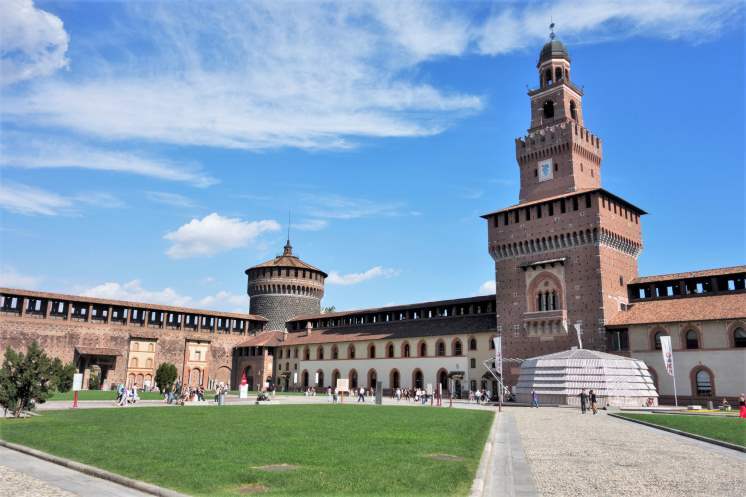 With castles galore all over Europe, one might wonder why Sforza Castle would be a must-see tourist destination. However, when a traveller gets to the castle they will then see why it makes it on the list. As one of the largest castles in Europe, it is not only immense but also beautiful. While taking a stroll of the castle grounds, be sure to check out the many museums – mostly archaeology related – that make up the grounds. 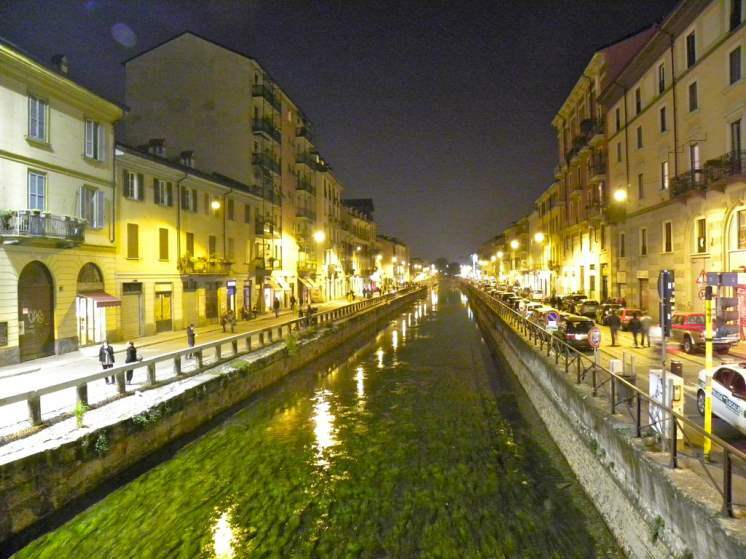 For those looking for a classic Italian fresco, look no further than Navigli Lombardi. Walk alongside 12th-century canals while enjoying the local coffee shops, markets, and street entertainment. Explore the local neighbourhood and colourful houses. Because the canal is filled with water, tourists may choose to take the 55-minute ride and learn about the history of the canal while floating on its ancient past. What is a visit to Milan without a little shopping? After all, that is what it is famous for. The Quadrilatero d'Oro, or “Golden Quadrilateral”, is one of the best places to do this. Regardless of whether or not you decide to shop, this stop is important. It is the home of many of the founders of modern fashion, including Michael Kors and Giorgio Armani. A pleasant stroll through this neighbourhood will provide excellent window displays, views of neoclassical architecture, and gentle lights that illuminate the cobblestone pathway. Tourists are attracted to this site for its beautiful architecture, gilded interior and breathtaking sculptures. 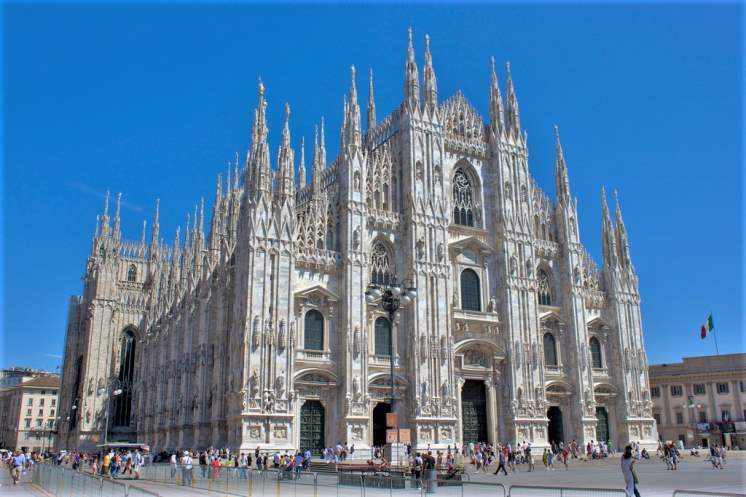 Milan Cathedral is the largest church in Italy and provides classic examples of gothic spires and structures. View-seekers visit the cathedral for access to the roof – where they will get an awe-inspiring view of the sprawling city of Milan. Thrill-seekers visit this site for the crypts and ancient relics of saints, as well as the famous statue of St. Bartholomew flayed. The religious see this as one of the premier pilgrimage sites in all of Europe. Whatever the reason for visiting this place, make sure to see it before leaving the city. One might not equate a sightseeing venture with hopping on a mode of transportation, but it is worth doing. 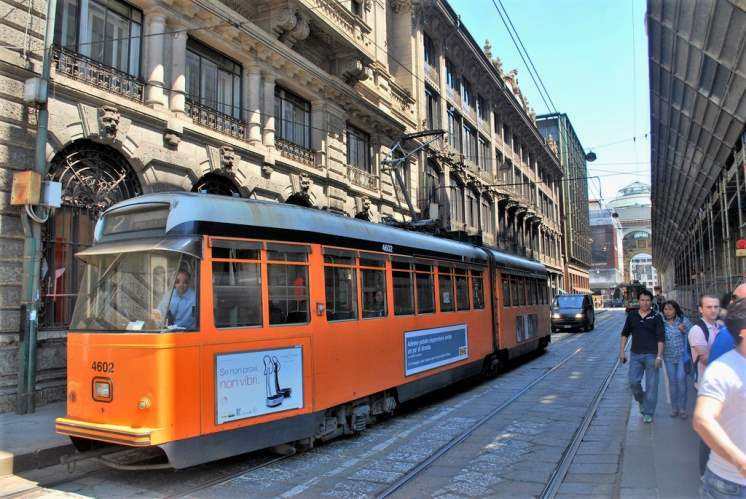 When you hop on a tram, not only will you get a spectacular view of the sights of the city, but you'll be able to see some of the most historic sights of Milan from the comfort of the traditional wooden seats. It will feel like a trek out of time when you dine under the old, glass lampshades and speed through the streets of the city. Have you ever wanted to visit a classic, famous work of art, up-close and personal? If so, it is important to stop at this site. 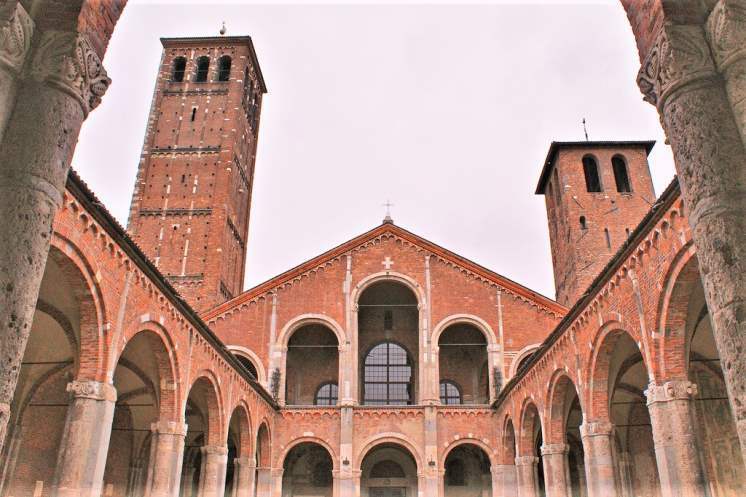 Basilica di Sant'Ambrogio is the resting place of Leonardo Da Vinci's last supper painting. However, that is not the only treasure to be found at this lovely old church. Due to its age and historical importance, it is listed as a UNESCO world heritage site. Stop by to look at its ancient architecture or to attend a mass while you are there. 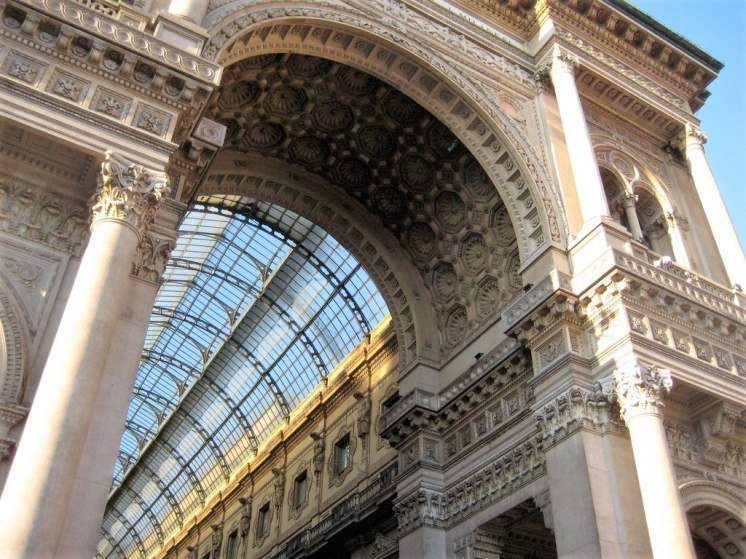 Possibly one of the loveliest places in Milan, this glass-topped shopping centre is an architectural masterpiece. 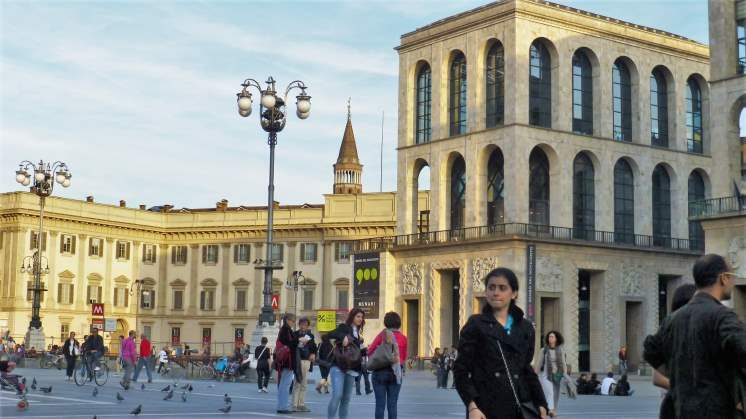 Since the shopping culture is essential to Milan, it is crucial that this lovely place is visited before leaving the city. Full of the heights of fashion, it is a great place to window shop, or just to take a stroll.